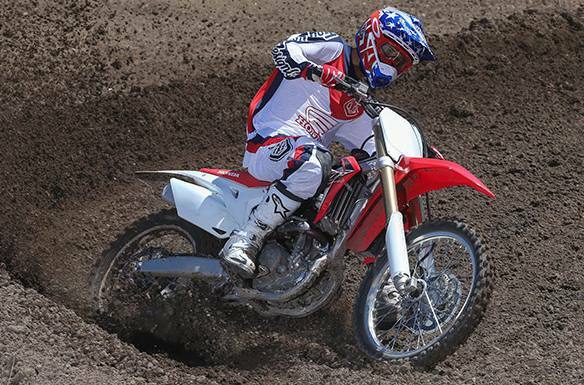 This year's fine tuning gives the CRF250R what it needs to keep you in front. New, larger radiators handle the output from a more powerful engine, which includes more cam lift and new titanium exhaust valves. Larger-diameter muffler pipes and a new resonator also help increase power. In terms of suspension, the Showa® SFF-Air TAC Fork is five millimeters longer, and now features a Schrader valve to make adjusting the balance chamber easier. There’s even a new chain-roller diameter—our engineers haven’t missed a thing. And it’s all with one goal in mind: Giving you the best 250 MX bike there’s ever been. Mission accomplished! More Powerful Unicam® Engine: The CRF250R gets some major engine upgrades this year.The top-end changes (pistons, valves, compression ratio) all contribute to the bike's race-winning power. Next Gen Showa® SFF-Air TAC Fork: Lighter and easier to tune than a conventional-spring fork, the CRF250R’s Showa® SFF-Air TAC fork improves suspension reaction and simplifies adjustments for track conditions. Updated this year with an added Schrader valve for the balance chamber for easier tuning. 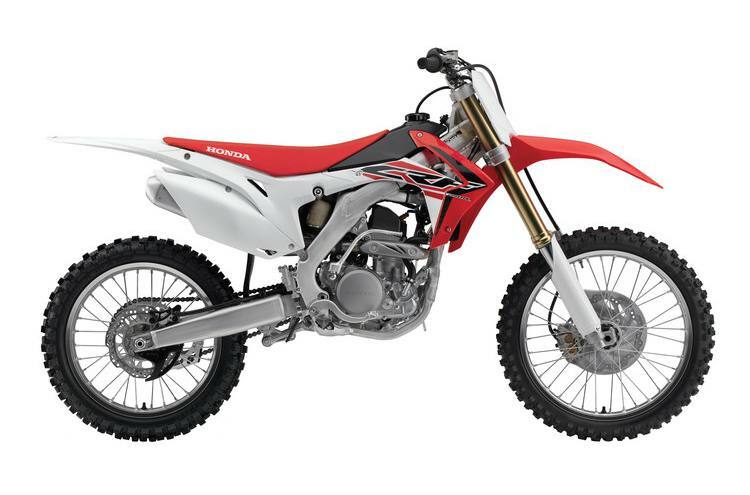 Twice As Good: The CRF250R pioneered our twin-muffler exhaust system. The two-pipe design means that each muffler is shorter, mounts lower and is tucked in much closer to the bike’s center of mass. For 2016, the mufflers feature a larger diameter and a new resonator for better power delivery.